The Finnish association of decoration journalists chose #kimppakämppä as one of the best stands in the Habitare 2017 fair. 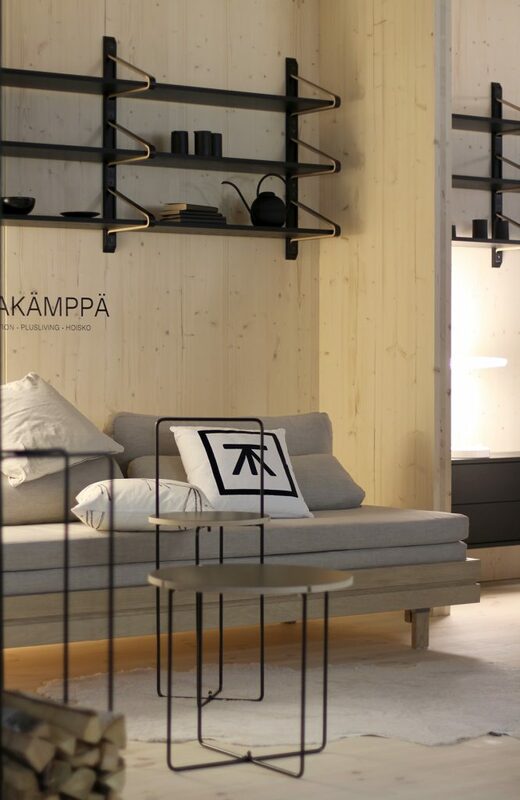 The annual fair is the largest furniture, design and interior decoration event in Finland. #Kimppakämppä was a co-operational project of three companies Tapio Anttila Collection, Plusliving and HOISKO, complementing the 2017 fair theme “Tomorrow’s home”. #Kimppakämppä was characterized as a “harmonic” and “home-like” space “one would enjoy to stay living in”. The solid wood structure of HOISKO CLT “charmed the jury”, as well as the home-like shadowy lightning. Visit #Kimppakämppä in the Ahead!-area, stand 6m50. The Habitare fair is open until Sunday, September 17th.